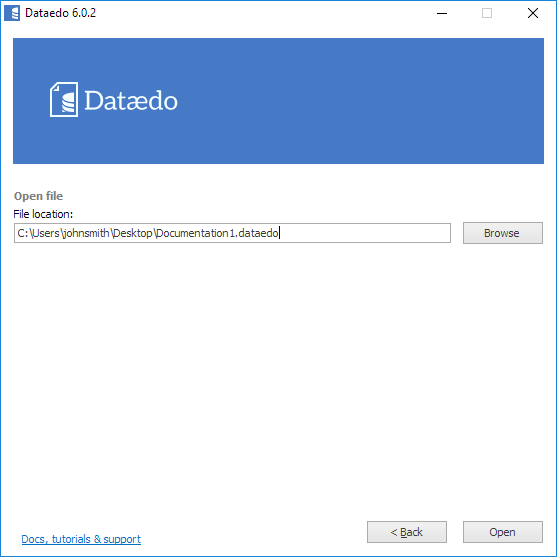 When you run Dataedo editor you will see Connect window at first. 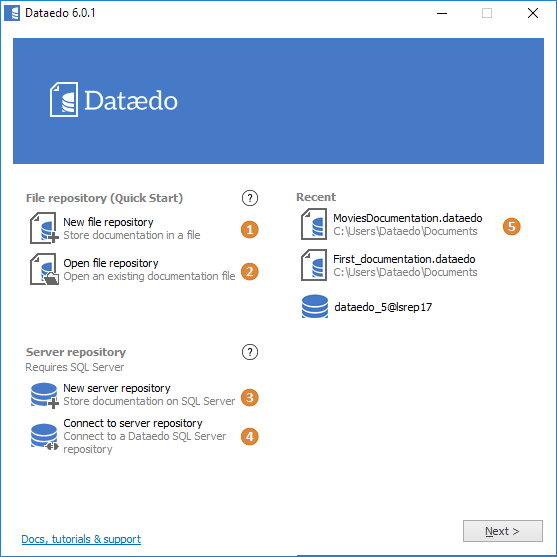 This window enables you to connect to an existing repository or create one. You can open this window later with New/Open button available on the ribbon. To open existing file repository you choose an Open file (2) on Connect window. Next enter location and name of the file you want to open. Click Browse button to open the file chooser. Click Open to open repository. 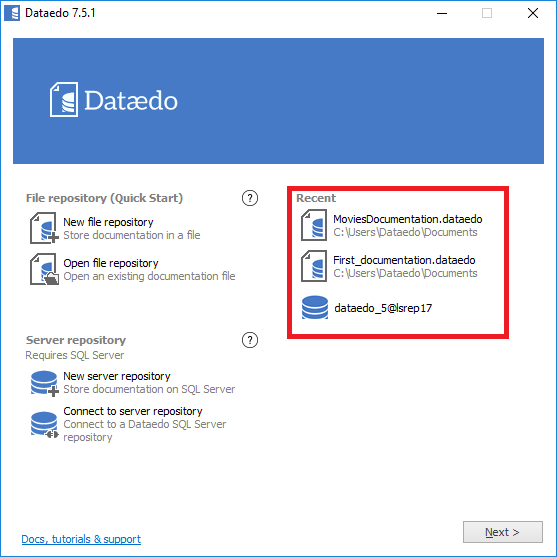 To connect with existing file repository you choose a Connect to repository (4) on Connect window. To log into repository provide the host address, database name (the one that was provided while creating repository), your login and password to the server and click Connect. If you don't know the host or database contact your administrator. On the right side of the connect window (5) you have a list of shortcuts to all your recent connections (this list is saved in your local installation). During work you can connect to another repository with New/Open button on the ribbon. This will open connection window that would enable you to choose another connection.